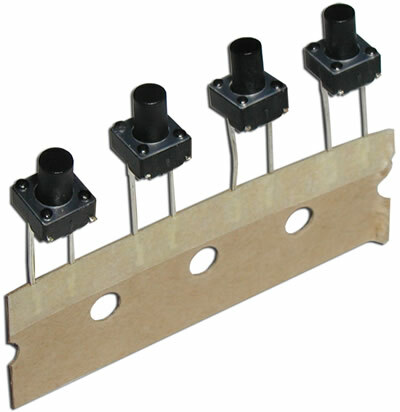 The CR1102H Series tactile switch is in ammo packaging for ease of use. A through-hole switch, the CR1102H is a momentary SPST tactile switch button with a choice of actuation force ranging from 100gF up to 260gF. 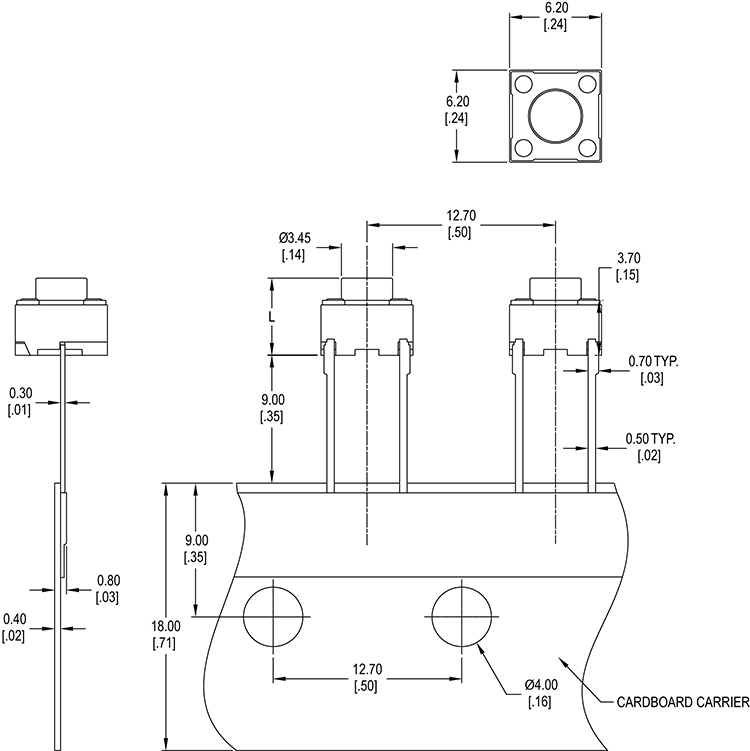 Actuator travel is .25 ? .1mm and actuator lengths range from 4.3mm up to 9.5mm, with two square actuator options.